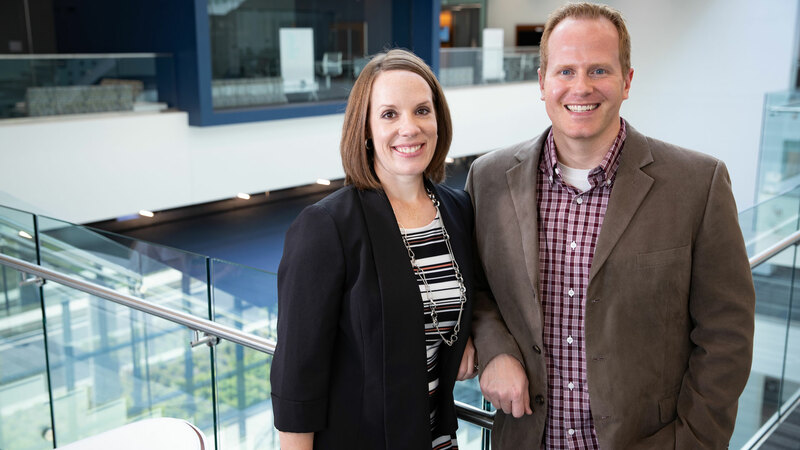 Nicole and Adam Brack, both graduates of Missouri State business programs, were able to explore the newly renovated Glass Hall during a visit to campus in August 2018. They served as executives-in-residence and made presentations in several classes. Adam and Nicole Brack are a well-traveled pair. Between them, they have lived, worked or visited around the U.S., India, Australia and Europe. During their first five years of marriage, they spent vacations seeing the U.S. That sparked a love of experiencing new places, which set them on a path to working on a different continent. In July 2013, they packed up their lives in America and moved to Dublin, Ireland. Adam, originally from Denver, and Nicole, originally from Washington, Missouri, both attended Missouri State’s College of Business. Adam graduated in 2003 with a bachelor’s degree in computer information systems. He had been interested in computing and programming since he was young. “One year my parents spent their entire Christmas budget, with my grandma, buying an IBM Tandy 1000 from Radio Shack for me,” he said. During school, he also became interested in finance and management. He received a Master of Business Administration degree from MSU in December 2004. Nicole earned a bachelor’s in accounting in June 2004. After graduation, she was recruited by MetLife for a job in Tampa, Florida. Nicole and Adam were dating at the time, and Adam also took a job with MetLife after earning his MBA. In August 2004, in the midst of Hurricane Charley, Adam and Nicole got engaged. By 2005, they were married and moving up the career ladder. Nicole started her tenure at MetLife in the accounting department. She was responsible for foreign and domestic bank account reconciliations. Eventually, she supervised a team that managed accounts obtained from various mergers and acquisitions. She went to school while working, and in 2007 she received an MBA from Saint Leo University in Florida. In 2008, she earned a position on the finance audit team — a career path she had sought since her time at MSU. Adam started his career as a business analyst who worked on system implementations for the finance team. He moved to the corporate treasury side of MetLife in 2007. In 2011, MetLife acquired American Life Insurance Company, known as ALICO, and Adam joined the international treasury team. It was Adam’s career that initiated their move to Dublin. In 2013, MetLife was working to regionalize their operations after acquiring ALICO. They wanted to build up teams where they had regional offices. Moving overseas came with adjustments. Most came as pleasant surprises. The pair immediately began exploring. Along with the relaxed style of living, Adam and Nicole have developed an appreciation for Dublin’s food, compact city living and people. Adam now works as the lead of the treasury function for MetLife Europe, Middle East and Africa. He oversees operations in 26 countries. Nicole works as the functional plan owner for the audit team in the same region. She heads finance, investment, human resources, procurement and various other corporate functional-level audits. The couple share their experiences with Missouri State students. They have spoken to Bears who are studying in Ireland with MSU study abroad programs. They come back to the Midwest a couple of times a year. Moving home is a possibility in the back of their minds — but they couldn’t say when. Nicole advises others to step out of their comfort zones. 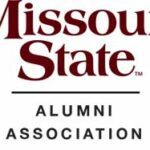 BearTalks is a group of alumni speakers who volunteer to share their expertise with Missouri State University student groups and organizations. Alumni self-identify their topic areas of expertise and serve as a resource for student groups on those subjects. Nicole said of speaking with students about her own life. Student writer for University Communications.